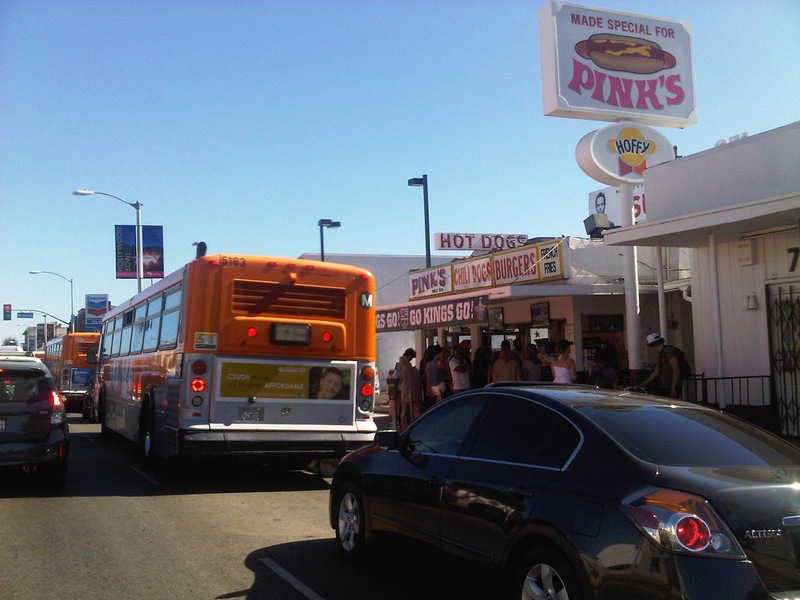 We have never been to Pink's Hot Dogs, but it is another item that needs to be checked off my "bucket list." A friend sent Yank's Franks this photo and offered to send more. I declined and instead suggected sending a chili dog. I expect to receive it early next week. Pink's is in Hollywood and has been for over 70 years. Many of you may have heard of them as they recently became the subject of an often run commercial about Bank of America. Good going B of A, there is nothing better than hot dogs to make us forget that you were a huge part of bringing the world economy to its knees. Pink's has the reputation of being the hot dog stand to the stars. That's an awesome distinction, but Yank's Franks is hard at work to replace them as the hot dog stand to the stars. Frankly, All Yank's Franks Customers Are Stars! So there you go Pink's. Maybe we'll see you next winter. Yank's Franks Gets A New Look!